hi i have been looking at getting some more magazines for my m4 and mp5 and i like the look of battleaxe 1000rd auto winders but cant but feel this is some how cheating and that i should have several mid to low cap mags. just wondering what other people use and and your experiences. Mids or Lows are my preference, I'd rather quickly reload than wind a high cap. And they don't rattle. Good question, this will probably spark a huge debate. It's all about personal preference to be honest as nobody will judge. If something has been made for the sport then its perfectly usable as other people can do the same if they wish. Personally I like to go with midcaps. I like reloading and it makes the game more fun for me. The challenge of conserving ammo, the rush of reloading in the middle of a firefight with people after you. It just adds to that level of realism. So for me, total I carry 6 midcaps carrying 90r for my MP5 (I bought a pack of 9 here) plus I start the round with a 40r metal magazine just for fun. Sometimes I carry a 200r highcap as a backup but very rarely will I need it as I try to go through the 200r in my speedloader first. Before I had my VSR,I used low caps on my AK.I used some cheapo 60rd low caps and a hi-cap for a backup.I loved doing the tactical AK reload.Reloading is quite fun and you end up looking badass if you master the speed reloads and tactical reloads and whatnot.Also,you can Spray,without winding every few seconds. MAG 190 round midcaps here. I used to carry a couple of 450 round hicaps all the time, but switched to 190 round midcaps a while ago - only need to carry 4 to have roughly the same amount of ammo I used to with highcaps. I like not having to wind them up mid burst Now I play CQB a lot, I have cut that down again to 2 x 120 round P-Mags! I've heard of them, never seem them in use though. Not really surprised to be honest, being two mags linked they're probably impractical and a bit too big. They're realistic size and weight but other the that they aren't any closer that a fair few other guns. 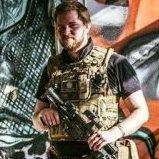 When I started airsoft I was still recuperating after illness and couldn't run. I think that's why I gravitated towards the support role. I've not found it hard to get through 4 AK hi-caps in a 40min skirmish. I suppose I could have run 12+ mid-caps, but I couldn't have afforded it. Hi-cap Hero reporting for duty. Say what you like about realism, but 3 AK rounds would punch through pretty much any cover we habitually make use of in airsoft, so extra rounds make up for this. I just bought another 5 mid-caps for my L1A1 - semi-auto only though. I want enough for a whole afternoon using it as a DMR (425fps). Iv got a few Hi-caps. Got a battleaxe 700rnd double mag for my AEG M14. this was because my hop-up was playing about and i was wasting half a standard mag on getting the bb's somewhere close. Iv now found it was broken :/ and was pretty much doing what it wanted. Its a an awesome bit of kit and saves all the finger winding, but its pretty poop if your right-handed. The M14 being as long as it is makes it hard to get you left arm to grip the front somewhere decent. My G36 MG im using as a "support" weapon as i have the 2500rnd drum mag that came with it, and a bunch of 450rnd mags. im laying down alot of cover so i need the ammo. I also have a battleaxe mag for that which i think is 1000rnds. not used that yet tho so cant comment on it. Most people who've been playing a while will probably tell you to move over to midcaps. Others, will tell you to stick with hi-caps. Personally, I prefer midcaps, they help you to think a little more about how you play, as opposed to simply how long you can keep your finger on the trigger. That said, I used to have a drum mag for EVERYTHING. It's literally just personal preference. As for battleaxe mags, heard nothing but good stuff for them in terms of reliability, however the dual-mag setup they like to use looks very bulky and I can't help but think it'd annoy me in game. Had an Ak battle axe drum mag, and as I said they are hit an miss as mine was bollox...needed a total rewire and refixing of the motor as they had all come adrift, and that was from new. As soon as I had my own RIF, I went to mid caps. Didn't like winding on the hi caps and wanted a bit more realism with the mid caps. Will be changing to 70/90 rounds mags this year. Not going as low as 30 rounds as I can't afford the mags! I have only ever used mids. Emags in my M933 and TM recoil mids in the SCAR. I have a high cap for each gun as a spare! No need to wind, no rattle unless you charge around like a rhino, and lets face it, if you cant move quitely twigs and underbrush will make far more noise! Limited ammo and sim games I go for midcaps, makes ammo restrictions easier to handle. I use Emags with real cap in them and I've only ever run out of ammo once or twice on defensive based games. It only takes me about 5 seconds to reload, so I really don't understand everyone's aversion to it. I think it makes for far more exciting game play. If not longer, besides reloading is a hell of a lot more fun and shouldnt take any longer than 5secs at the very longest.beats shredding gloves on those bloody wheels. Autowind if you dont mind em going *VVVVVVVVVVVVVVVVVVVVVVVVVRRRRRRRRRRRRRRRRRRRRRRR* whole day! Would not recommend! I use lonex flashmag with my m4, and a nam-style hicap for when laying down:) Mainly because I got so frustrated with the hassle of a west, admin reloads all the time, never know how many bbs left in the mag, heavy to carry to the skimish, heavy to run with (well dont really mind that so much), vest hooks onto things and makes it harder to access hard to reach spaces etc. etc. ive used high caps for two years, i never had any trouble that couldnt be fixed with an aggressive beating (unlike my mid cap foray) and i always fight at the front so reloading isnt an option unless i want to get blasted in the head, so ive never seen the value in mid caps or the people who are prejudiced against non users.